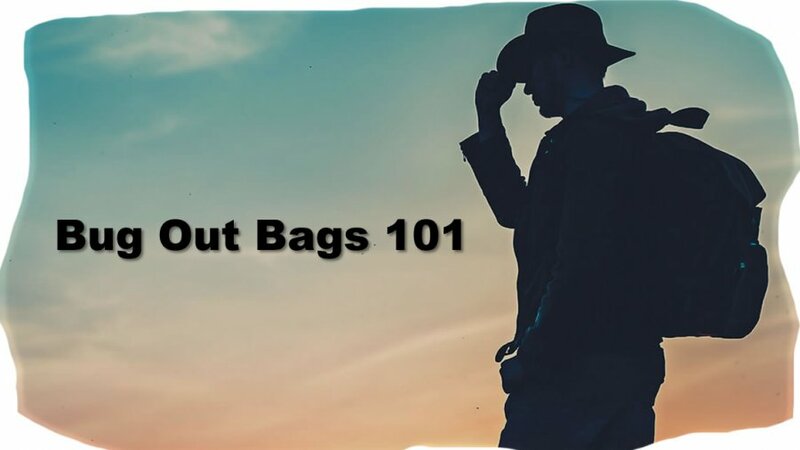 Home Survivalist Tutorials Bug Out Bag 101 – Building The Ultimate Bug Out Bag Bug Out Plan: Should I Have a Bug Out Vehicle? Bug Out Vehicles? Wherever you are going, how will you get there? When disaster strikes, it’s a good bet many people think they can jump into their favorite petroleum fueled bug out vehicle and bug out. Not so fast. Literally, it won’t go so fast. For one thing, assuming the disaster hasn’t wiped out most of the population or totally destroyed the road system, lots of people will be trying to do the same thing – bug out with a vehicle of some kind. In most areas where population is dense (cities, suburbs) this means one thing, traffic jams. These are the kind of realities that make it important to consider how different modes of transportation would be affected by the most likely disasters in your area. In a few kinds of disasters, which don’t happen quickly, such as hurricanes, you might have a choice of transport i.e. a bug out vehicle – car, truck, bus, train, plane or even boat. However, most types of disaster won’t give you much, if any, time. In many cases it’s almost a sure thing that public transport (bus, train, and plane) will either be unavailable, disrupted or at best unreliable. In fact, during a pandemic, public transport could well be the worst possible choice. It’s likely that most people thinking of their survival in a major disaster are counting on their personal car or truck as a bug out vehicle to get them out of trouble. Maybe so; but in how many kinds of disasters will it be difficult or impossible to move anywhere through a city? Most kinds of bombs, EMP attacks, earthquakes and floods are going to make travelling with a vehicle of most any kind almost impossible, at least in the affected areas. The logistics of a bug out vehicle can also become a problem. In most types of a disaster, how easy is it to get to your bug out vehicle? Can you even get it out of the garage or parking lot? These are not fanciful hypothetical questions. The situations can become real and the solutions, if any, need to be understood. There are some points about transportation that easy to forget. For example, is the bug out vehicle you have easily repaired? You may be in love with your 1956 Cadillac Coupe de Ville, but how easily can you get spare parts where you’re going? Likewise, what are the fuel capacities; do you have enough for the entire bugout trip? Can it be reliably refilled? These are not trivial questions when the supply chain for fuel is disrupted by a large scale disaster. Maybe you don’t select your personal bug out vehicle with survival in mind (few do), but it helps to be realistic about whatever you have. Along this line of thinking, people ask if there is an ideal bug out vehicle or mode of transportation? Perhaps the ability to fly (like with wings) would be nice, but no, there is no perfect bugout method for all disaster situations. Some approaches will work better in certain kinds of disasters, and not so well in others. For example, speaking of flying how about flying out of a thunderstorm with an F5 (Simpson Scale) tornado? A tank might be ideal in some disasters, and leave you stuck in a flood in others. If you have a car, truck or other larger form of transportation, there’s a tendency to want to load it with stuff. Everybody’s got their favorite collections, or piece of furniture – whatever – the problem is that while a bug out vehicle might hold some of this stuff, it won’t help much with survival. It might even hinder it, as people become reluctant to leave things behind. It would be a little like the pioneers along the Oregon Trail, throwing out pianos, cabinets, even clothing as it became obvious they might not make the journey with the extra weight. The general point is that all bug out vehicle, anything mechanical that requires petroleum fuel for energy, have liabilities in most disaster situations. Whether you get stopped by a blocked street, a faulty ignition system (think of an EMP attack), or run out of gas, it’s the end of the line. It’s no coincidence that most novels, movies and other accounts of emergencies have people abandoning their vehicles. In all the considerations of what transportation to use for bugging out, the baseline remains – what do you do when further progress is reduced to going on foot? Eventually, a bug out vehicle will have to be abandoned. Maybe you’ve reached a trail into the wilderness, or have to negotiate a stretch of urban landscape where the roads are destroyed and covered with fallen buildings; going on foot may be the only option. While this obviously supports ultimatebugoutbag.com, it’s true that in most emergencies the smart thing to have is a bugout bag that can be carried as a pack. Nothing else provides the same freedom of mobility, especially if longer distances are involved. This is especially true when all other forms of transportation that you’re using as a Bug Out Vehicle fail, there’s always leg power. Combined with a bugout pack, even the most difficult terrain, including devastated urban terrain, can be negotiated by walking. As for mode of transportation, you’ll have your preferences. Just do yourself the favor of considering those preferences in the light of disaster survival. As we’ve mentioned in other bugout profile articles, when you bug out, your destination and route to get there are part of the survival plan. So is how you get there, your mode of transportation.